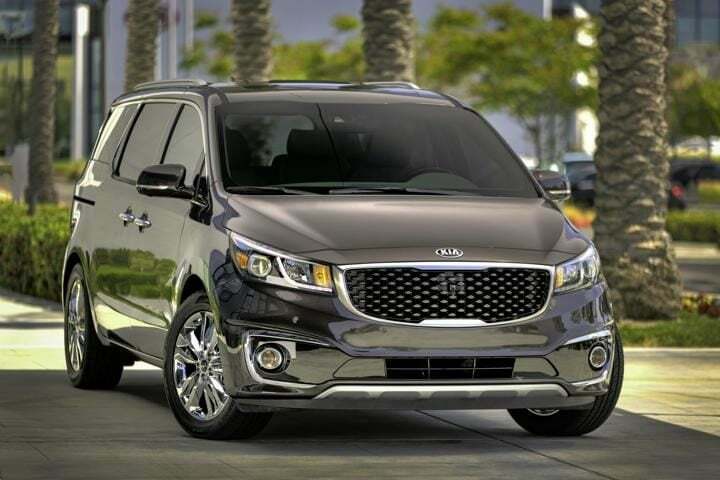 Kia Grand Carnival MPV might be launched in India by 2020. It will sit atop the Toyota Innova Crysta, which is one of the highest selling MPV in India. The MPV segment has a handful of models including Datsun GO+, Maruti Ertiga, Tata Hexa, Toyota Innova Crysta and the recently launched Mahindra Marazzo. The upcoming entrant, Kia Carnival MPV is going to launch in India by 2020. Also, Carnival MPV will be positioned above Innova Crysta. Autocar reports that the Kia MPV will be priced Rs 2-3 Lakhs over the Innova. Globally, it comes in 8-seater and 9-seater options. However, the Indian-spec might go on with the 7-seater layout. Kia Grand Carnival MPV is a 5-door MPV, which is much bigger than the Innova too. Kia states that it will focus on the middle-seat comfort and will provide with individual captain seats. Also, retractable footrests will be offered along. Globally, Kia MPV comes with both diesel as well as a petrol engine. It gets a 2.2 Litre diesel engine that puts out 200 BHP. Chances are that this engine might also debut in the India-spec Kia Grand Carnival MPV. The power and torque figures might be altered a bit for better fuel efficiency. On the other hand, Innova comes with three engine options. This includes 2 diesel and 1 petrol variant. For a car of this big size, diesel is preferable. However, some true petrol heads like to have that as an option. The MPV measures 5115 mm long, 1985 mm wide and 1755 mm tall. Comparing the dimensions with Toyota Innova, Kia MPV is longer and wider but shorter. Kia plans to sell around 1,000 units per month of its Grand Carnival. For a company that is just stepping in the Indian market, the figures seem pretty decent. Although, its arch-rival, Innova Crysta garners sales of over 7,000 units. Despite being a premium product, it manages to secure a good sales figure. As of now, we know a couple of feature highlights of Kia Grand Carnival MPV. It will mostly come with three-zone climate control, dual-sunroof, premium leather seats, cruise control and multiple USB ports. Expect a lot more features in the MPV, because of its high pricing. Toyota Innova Crysta goes up till Rs 23 Lakhs (Touring Sport). So, it will most likely start off at Rs 25 Lakhs to qualify as an even more premium MPV. However, with this pricing, it comes in direct competition with Toyota Fortuner, Mahindra Alturas, upcoming Tata Harrier 7-seater and Honda CR-V.